The Red-winged Blackbird is commonly found in wetlands areas and often in large numbers. The males are all black with a red mark, or epaulet, on their shoulder. They can also have a yellow or white stripe below the red. Sometimes the red might be hidden. The female are very different from the males, being striped with various shades of brown. Adolescents looks like the females, but male adolescents will have the red epaulet. 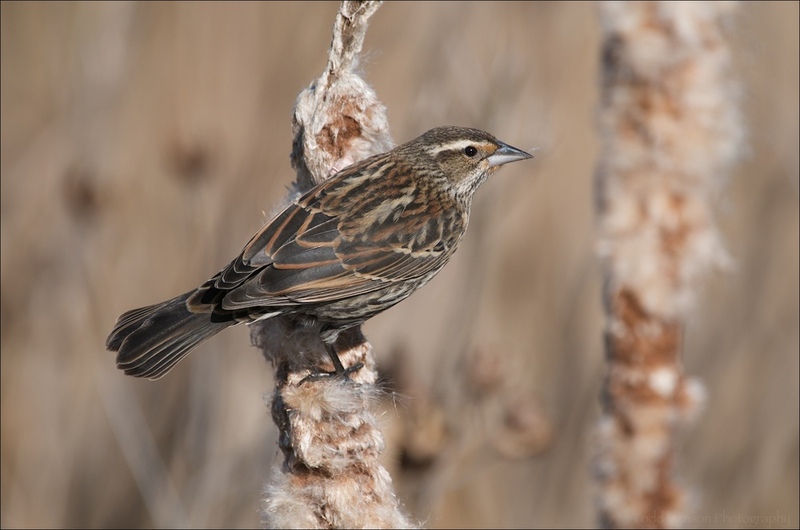 When I first began learning to identify Red-winged Blackbirds I mistakenly identified the female as large sparrows because of their coloration. One of my photographic goals is to capture a male Red-winged Blackbird in flight against a beautiful out of focus background, perhaps like the greens or browns in some of these photos. I have captured some in flight, but so far each shot has been blurry. I'm still working on that clear flight shot. 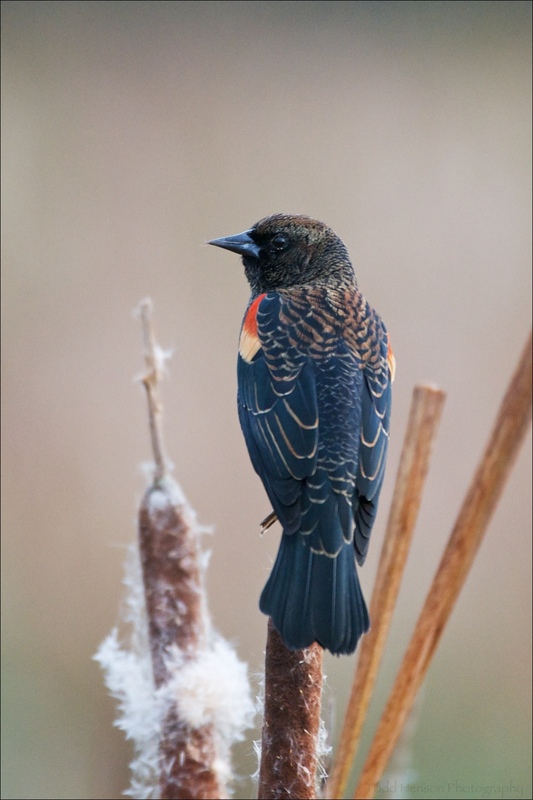 One of the included photos is of a female Red-winged Blackbird stretching between two cattails. She started on a single cattail, but decided the neighboring cattail looked more appetizing. Instead of moving to the neighbor she stretched over and grabbed hold of it while still holding onto the first. She then started plucking pieces of the cattail. Fascinating to watch.